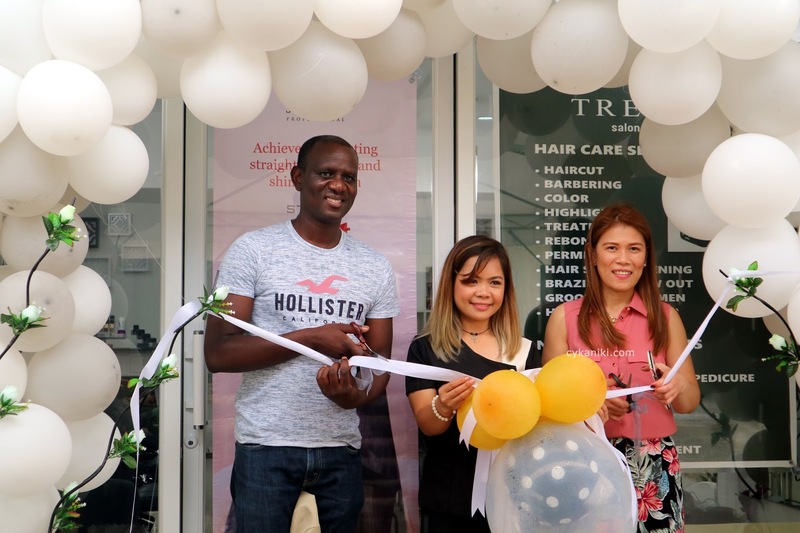 TRENDS Salon & Spa my "ME TIME Destination"
Trends Salon & Spa had its soft opening on March 15th, but has officially opened its doors to the public through grand opening and ribbon cutting ceremony on Saturday, March 24th at Unit 9B Ompad Square (Acasia Ompad), Poblacion, Lapu-Lapu City. 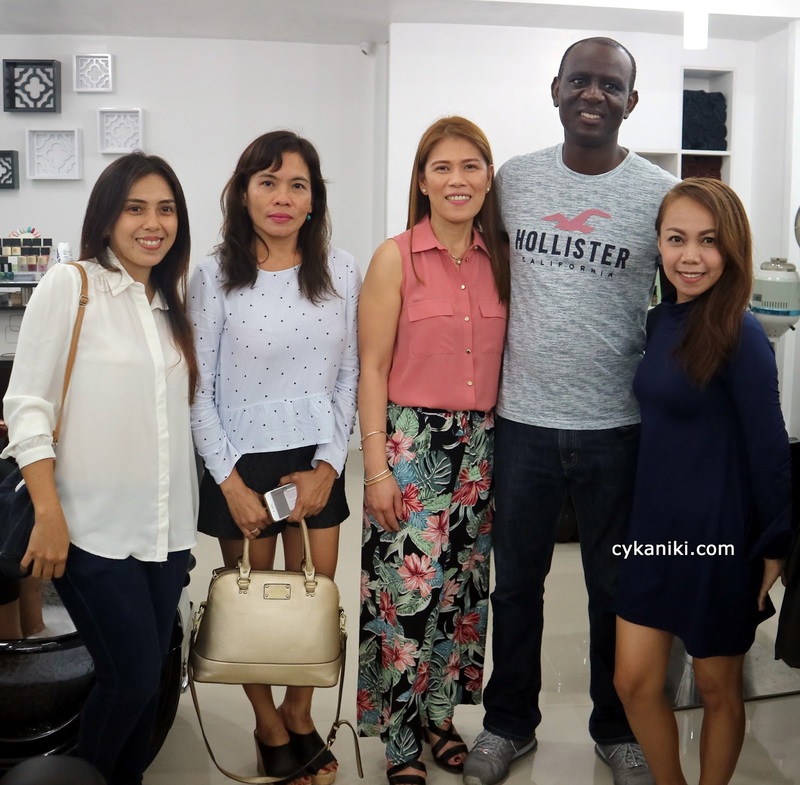 The salon is owned by a lovely couple from UK, Mr. Ndaba Nxumalo, and Ms. Joni Lee Funa, a Cebuana. 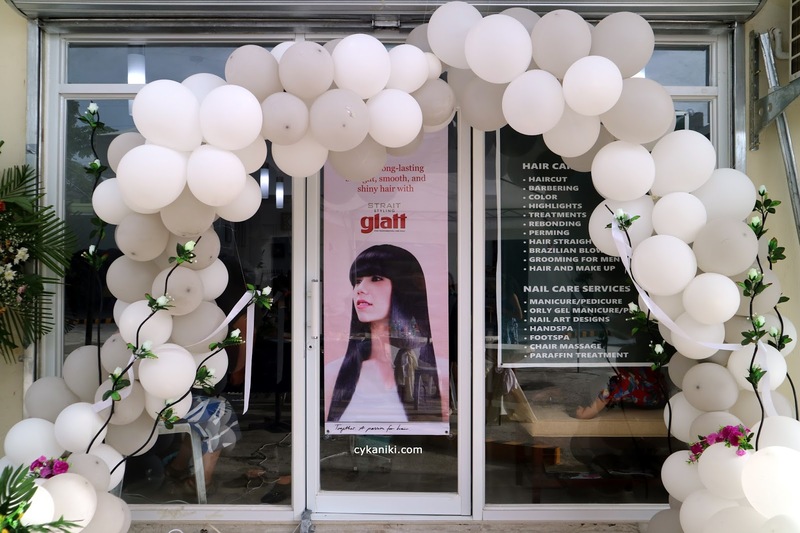 The salon itself offers a wide range of services including Brazilian blowout, straightening, perming, hair treatments, hair and make-up, nail care services and many more. Men's grooming and hair styling are readily available as well. With salon prices ranging from the cheapest manicure or pedicure services at only P 70.00, to a combo package of manicure + pedicure + Foot spa + Jet massage of only P 350.00, it is definitely more than your money's worth. Hair cut is very affordable at P 50.00 and hair color, hair treatments price range starts at P 300.00. Trends' Brazilian blowout starts at P 1,000.00 only! Prices vary according to hair lengths and any additional service a client wants to avail. The salon's hair and nail stylists are always open to give advice on what's best for their clients. 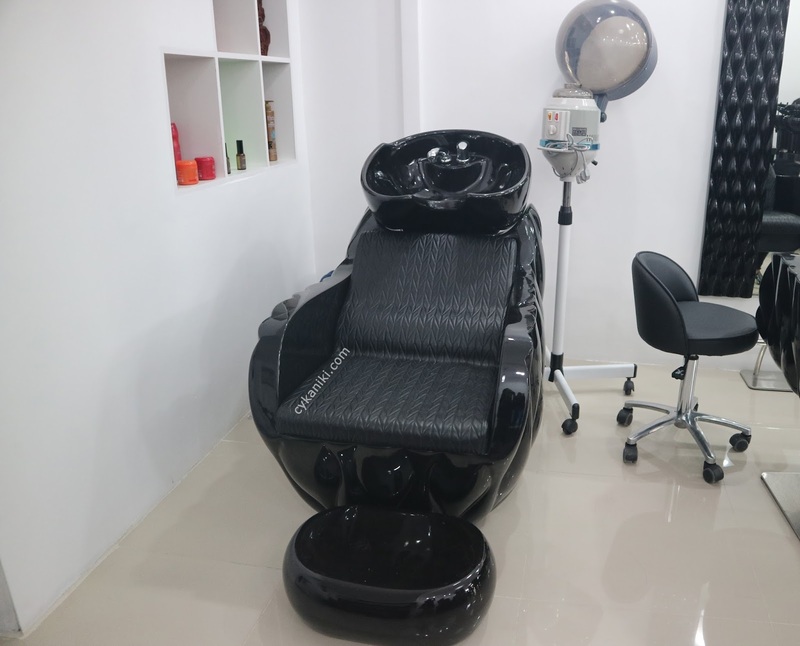 But what the salon especially boasts is its spa jet chair which serves a dual purpose - foot spa and chair massage at the same time. Relaxing, satisfying at a very affordable price. Trends Salon & Spa caters to all customers as it offers high end and low end services affordable enough for everyone. 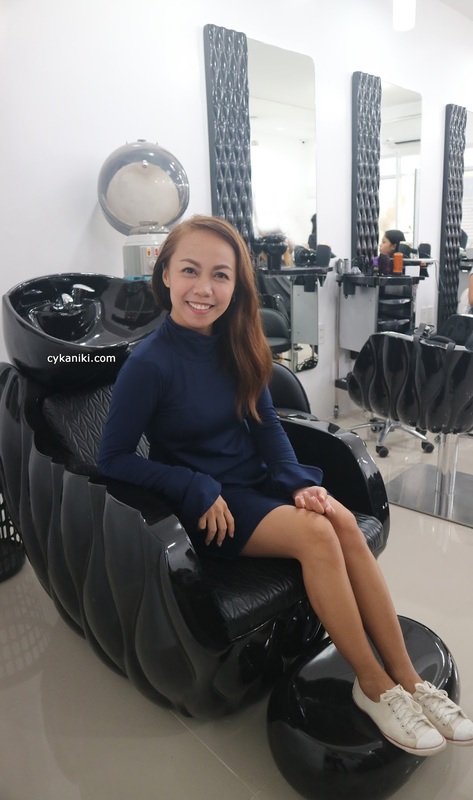 This sets Trends Salon & Spa apart from the rest of the salons in Lapu-Lapu City. As you can see the Salon interior is super neat, I love the elegant chairs and the white combination, it's simple and chic and comfortable in the eyes. I personally love their Jet Spa, indeed it's super relaxing and affordable and aside from that it's just one ride away from home. I would love to bring my husband over to experience the ultimate relaxing experience I had on my next visit. They have various choices as well if you want to have more art on your nails. The owner said they will have Gel Nail polish soon, so I bet a lot of people will like it especially this summer season because it's long lasting. If you're from Lapu=Lapu City then this is a great opportunity for you Oponganons. Mostly the known landmark is Mercado Acasia, you will never get lost, hahaha!!!! just don't mind the last picture it's just a thing to have an irrevocable pose. Just kidding though. 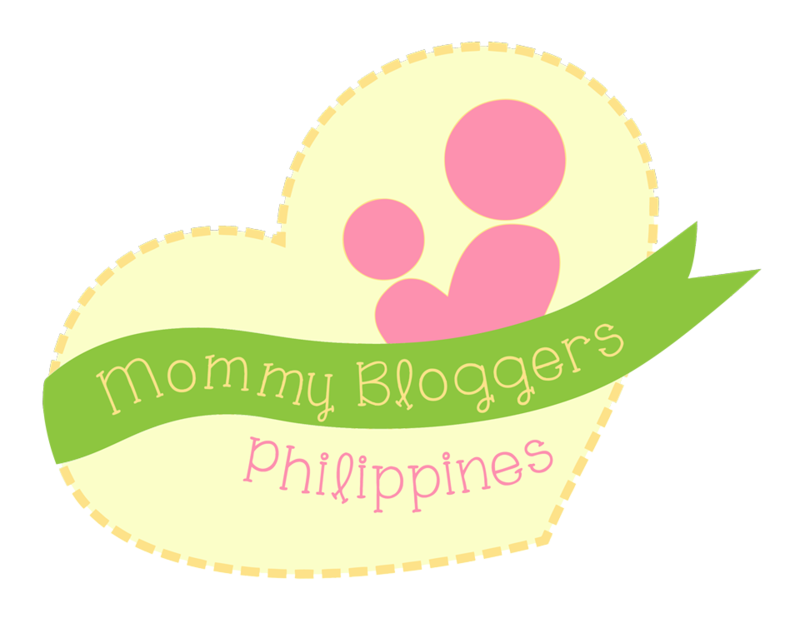 Please check my VLOG soon for this as always there's a video for you, visit my youtube channel to get more updates on my upcoming videos. Don't forget to subscribe and clicking the BELL icon will stay you up in the loop. Thank you.